Jupiter in 1st house/Jupiter in First House. So, now we start our journey with Jupiter through Houses. Today, Jupiter in 1st house. So, when Jupiter comes in to Ascendant/1st house, person becomes very knowledgeable. He is one of those people in society, who are looked upon by others with lots of respect and honor due to the knowledge and wisdom he has. Even if, this person is not educated, he will still be knowledgeable and intellectual. Their whole approach to life will be philosophical. They are looked upon in society as a natural Guru. From 1st house, Jupiter aspects the 5th house of Education, Children, Creativity and Speculative Business. Not only this person himself becomes very well educated but he is able to give the same education, knowledge and wisdom to his children. They also get lucky in speculative businesses. Jupiter's next aspect goes to 7th house of Marriage and Spouse. Here, it shares knowledge and wisdom with spouse. 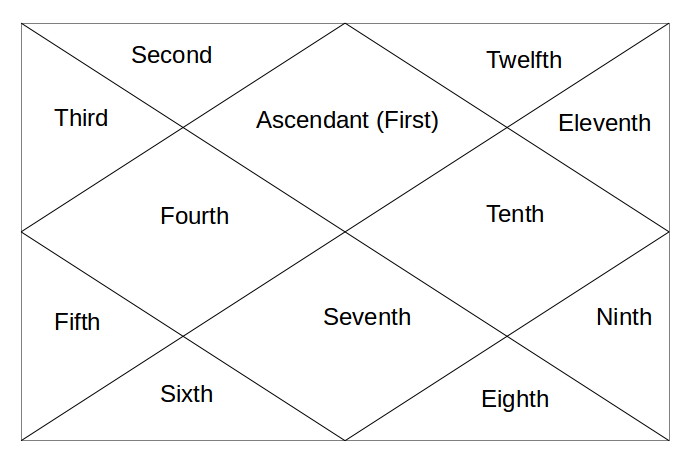 Jupiter's last aspect goes to 9th house of religion, higher knowledge, philosophy, pilgrimages etc. Now, the person not only gets the basic education of 5th house but also gets the higher education of 9th house. So, these people receive Ph.D. and D. Lit. and other higher degrees. Even if this person doesn't have great certificates to show, his level of higher knowledge and higher learning would be such that he doesn't need any degree or certificate. All in all, a great placement to gain wisdom and knowledge. Jupiter's great blessings have just started. Tomorrow, Jupiter in 2nd house.